Cozy is the right word to describe the rustic style. Also, rustic decoration gives its own color to the home, especially for the living room. This style has a natural, calm, comfy, and old-fashioned impression that makes everything so good to look at. For those who like the atmosphere of a farmhouse, this style is the best choice. Other than that, rustic is dominated by natural elements, such as wood and stone, that can give a fresh feeling. These rustic living room ideas can lead you to create a cozier atmosphere. So, let’s to be creative and don’t be afraid to experiment! No matter what season is, a rustic room is always comfortable to layover. 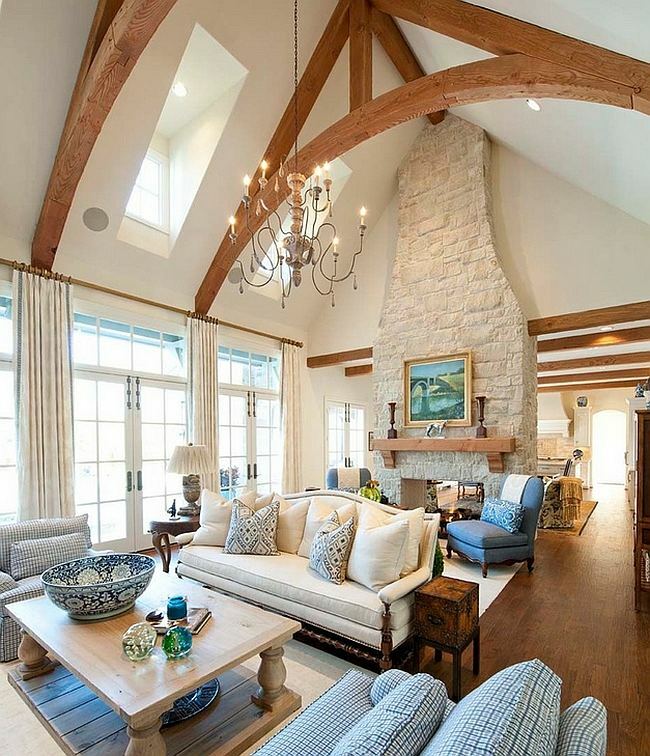 To make the living room look more rustic, you need to add wood beams accent for ceiling and floor. It will look structurally more solid and aesthetic. Plus, you can also decorate the window with wood beams. Thus, the rustic atmosphere you want to awaken in the living room becomes even more noticeable. Put matching themed furniture, like a wooden table, as a compliment. Then for the ceiling, install the pot lights to highlight some points. Also, set some plants in the living room for a fresher look. Mix and match rustic style with other decoration themes. So, rustic works very well with the traditional classic. 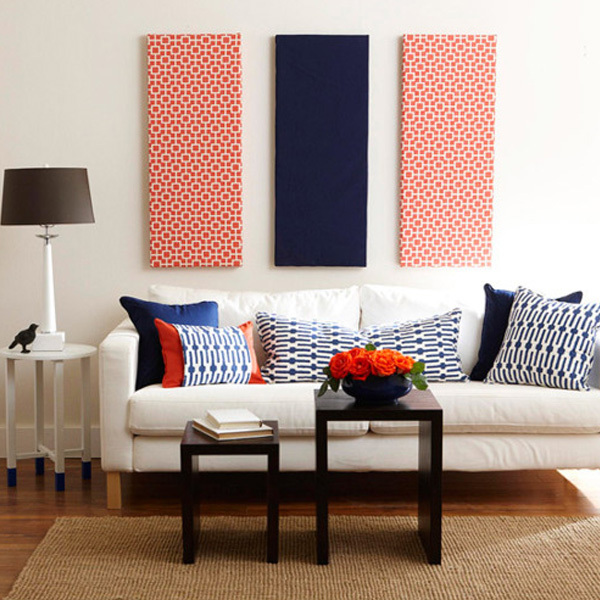 This collaboration can bring a comfortable, quiet, and friendly atmosphere to your living room. Because you want to highlight the charm of both, first select the furniture that supports the decor style. As shown in the picture, place a big wooden table in the center of the room, and then accent it with two different types of the couch. 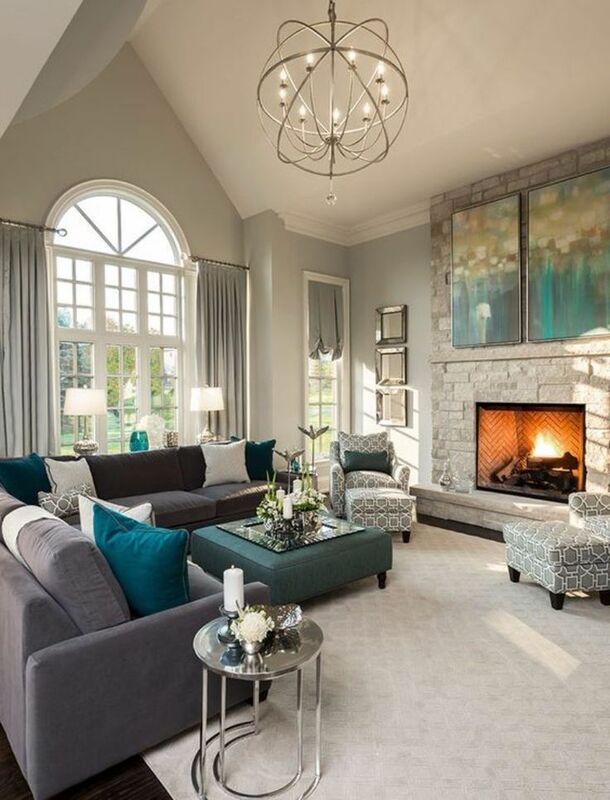 Choose contrasting couches to give visual interest. Then place an arc lamp floor near the couch to bring a classic feeling. A little touch of white is good for the room as well. It brings a contemporary look and creates good clean-lines for your room. 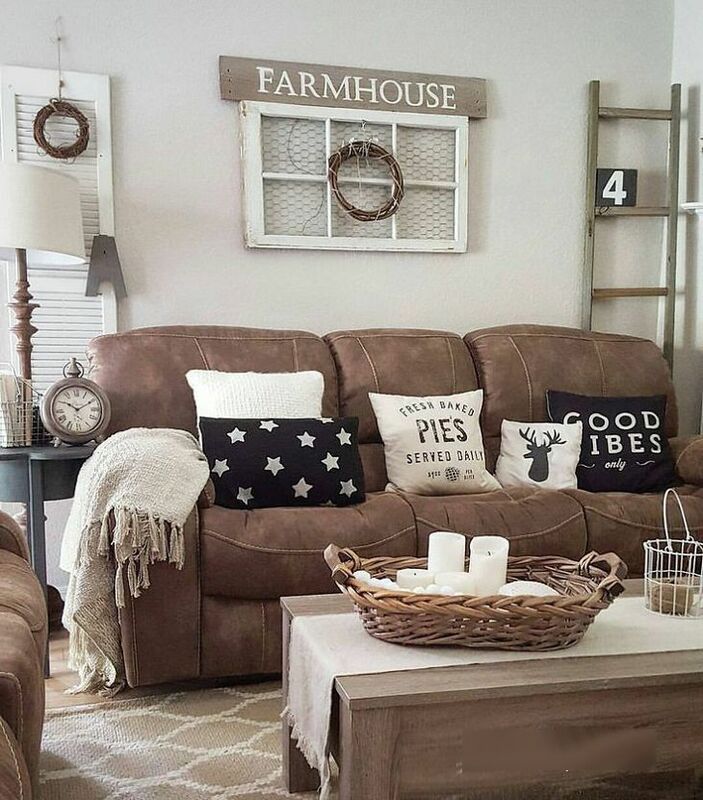 Farmhouse style is becoming a trend among decor enthusiast. The reason is that the theme gives a feeling of comfort and natural. 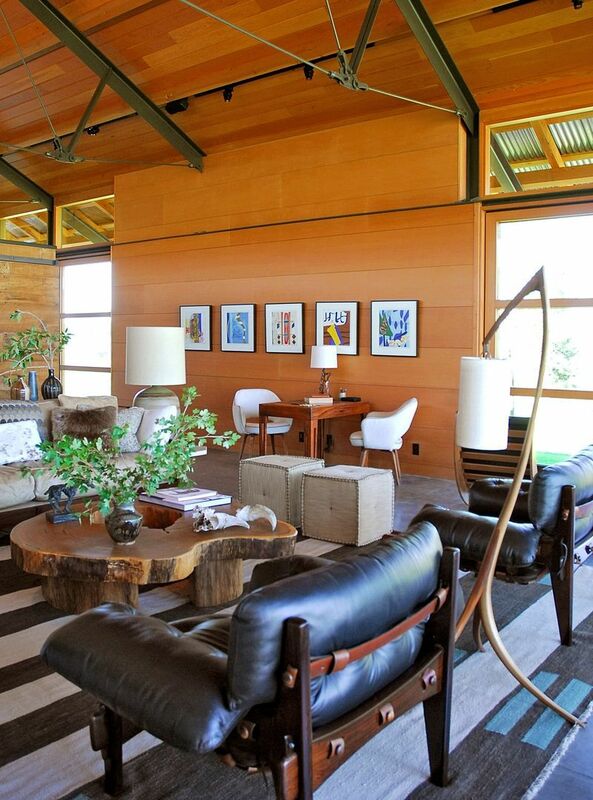 Therefore, you need to support the rustic mood by choosing furniture with earthy elements. Use a wooden wall to expose the space. Then select a similar theme for your chairs too. Surely, it will give a natural and traditional look. Couple it with unique decorations, such as lamps which have wood elements. Your room decor should be as close as possible to the elements of the earth. For the final touch, don’t forget to stick dark-colored cushions. Dark moose green, autumn orange, and royal blue are the wise preference. 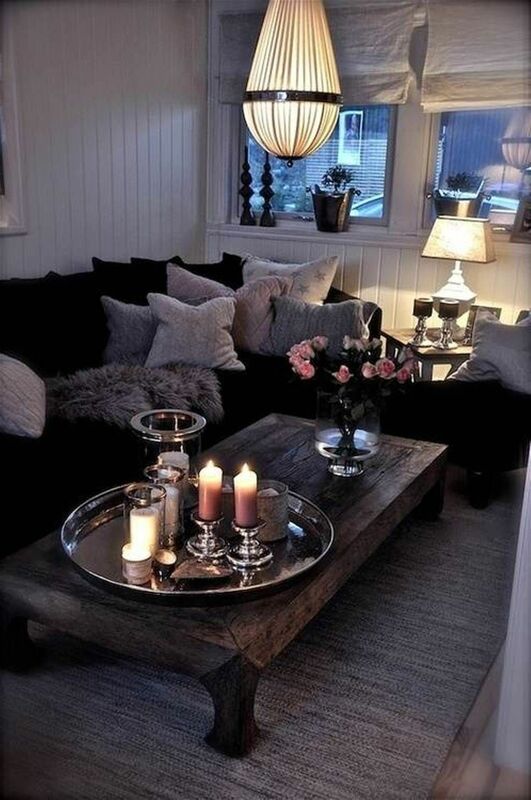 To bring romantic vibes into the living room, people usually accentuate the dark look. The good thing is rustic could be the right touch to realize that style. As illustrated in the picture, select a lighting scheme that suited for a romantic atmosphere. You can install a pot light and table lamp to highlight certain points in the room. Then complete with rustic ornaments, like a wooden table. Use also rustic walls, so that the look seems earthier. For the couch, you should pick darker hue. Brown or gray is perfect. But if you feel brave enough, choose black couch. After that, decorate your room with candles. Lighting is a finishing touch that improves the living room decor. 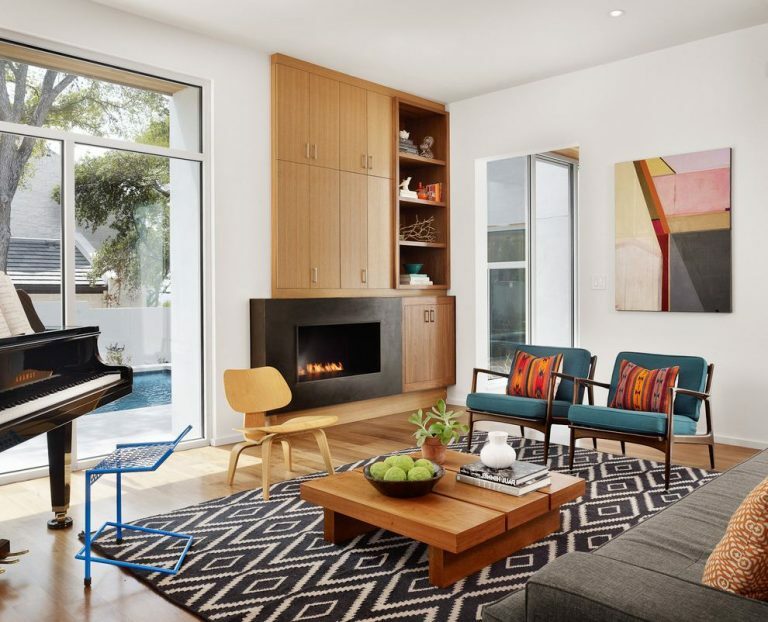 So, don’t ignore this because it can play a crucial role in your home design. For rustic style, yellow accent lights can provide a modern and bright atmosphere. Because rustic tend to use dark colors, so a touch of yellow can draw the eyes as another focal point. For a spacious room, you can install a chandelier ceiling which can give yellow accents to the room lighting scheme. Also, add a table lamp for the visually balanced lighting. Finally, give ornaments that express rustic touch. 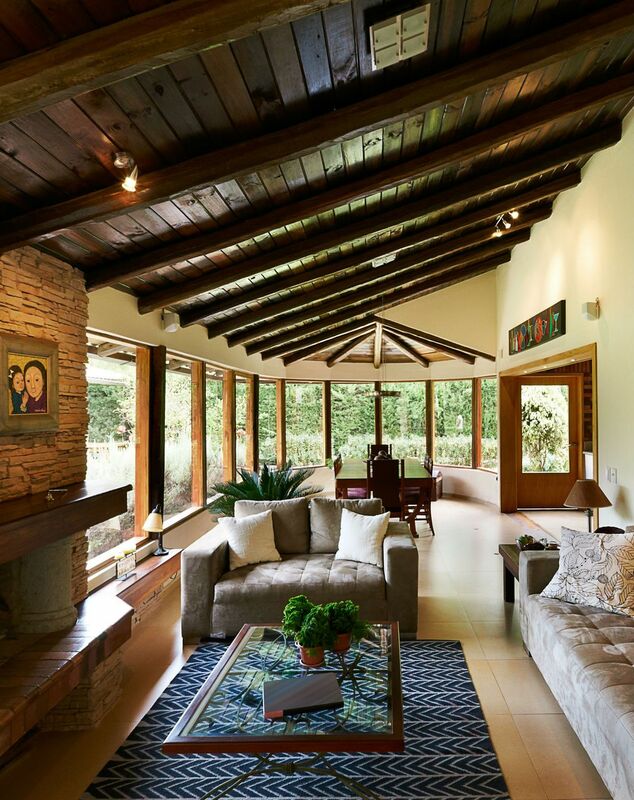 You can install ceiling beams or other decorations that bring earthy charm. Meanwhile, white and warm blue is the best option for your couch. A couch is a big investment for your living room. Not just as a seat, it can be a center of interest of space. When we think about a rustic couch, brown is certainly the best choice. Choose one that has a vintage and glamor style. To save budget, faux leather is the best material for your couch. Even though it’s not rich in texture, this material is easy to get and has a luxurious sense. Then add some wood elements to support your rustic space. For example, put a straw basket on a wooden table. Use it as a candle holder. Then decorate your rustic couch with vintage cushions. You can choose cushions with neutral colors like white or black. In the corner, place a wooden staircase. Even if it seems simple, it can give a unique interest in the living room. So, what are you waiting for? 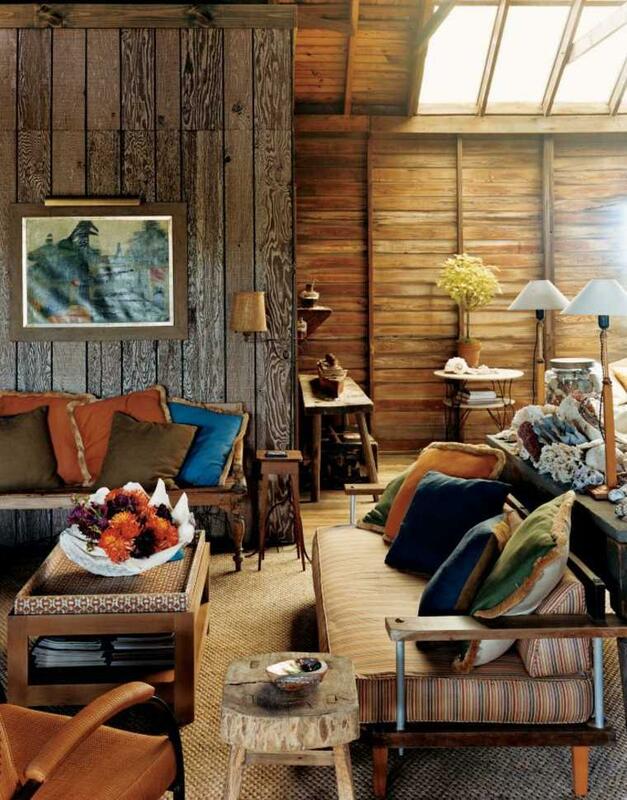 Let’s try these rustic living room ideas at home!